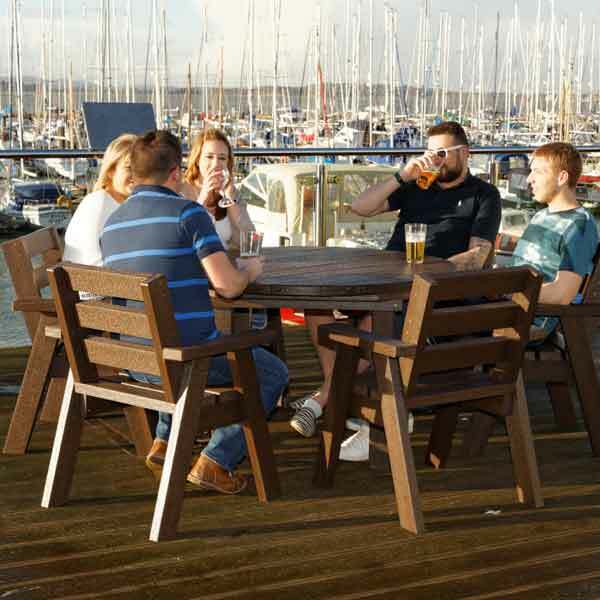 Here at NBB Recycled Furniture we sell a large range of outdoor recycled plastic furniture which is ideal for pub gardens, parks, universities or any outdoor seating area. Our stylish and robust range will never need replacing and last you a lifetime. 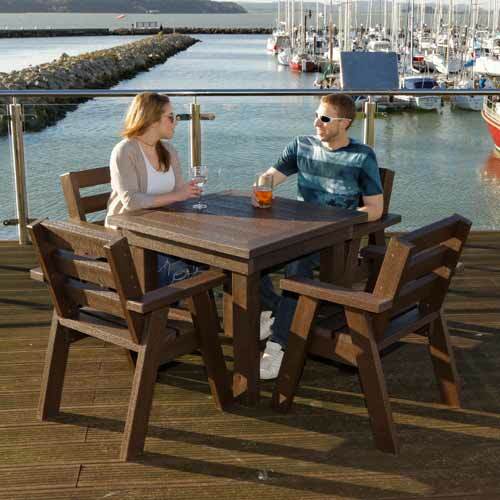 Come and take a look at all of our recycled outdoor furniture today . 1. Why should I choose recycled furniture? 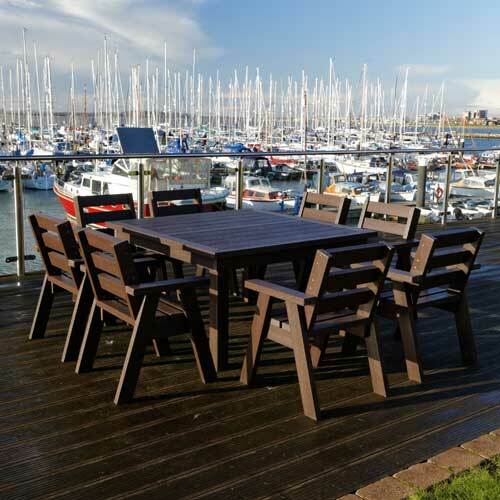 There are many reasons for choosing recycled furniture and the first being it is helping the environment. 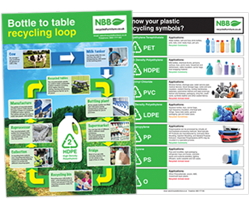 It is so important to help reduce plastic waste going into landfills, one way is by recycling it! 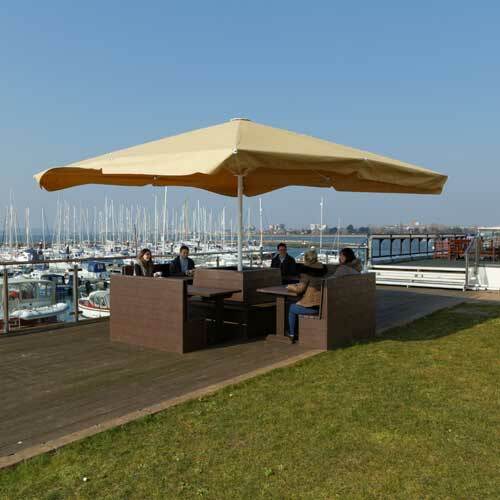 We use 100% recycling plastic bottles for all of our recycled outdoor furniture. 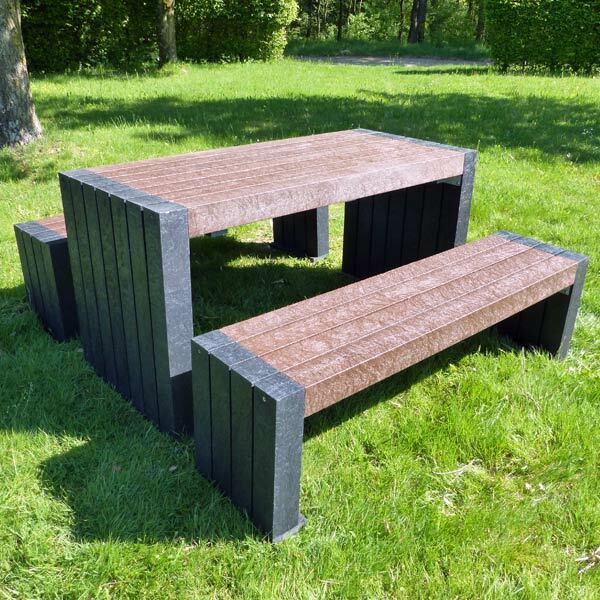 Recycled tables, chairs & benches last a lifetime and are a brilliant alternative to wooden furniture. 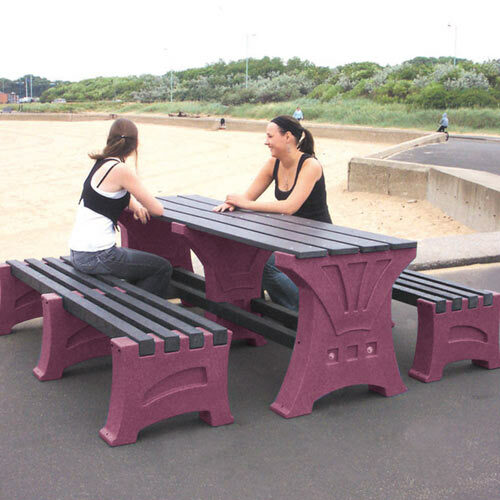 Recycled furniture will never need replacing and is extremely durable in all weather conditions. 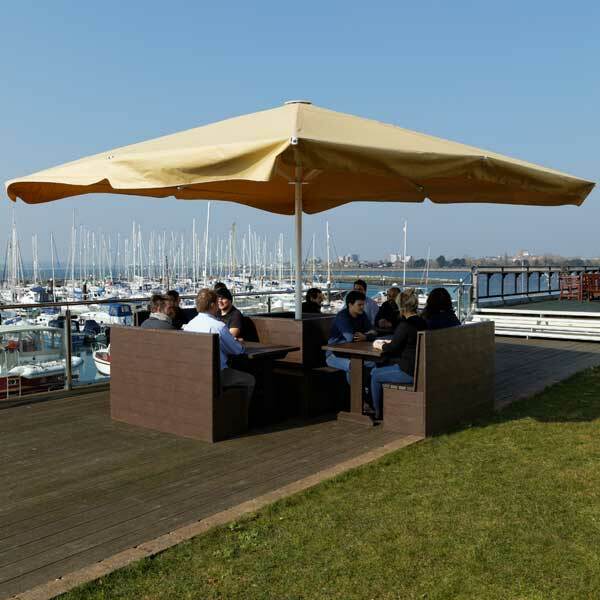 By creating an inviting and professional outdoor area for your hotel, pub or restaurant you will give an great first impression to your customers. 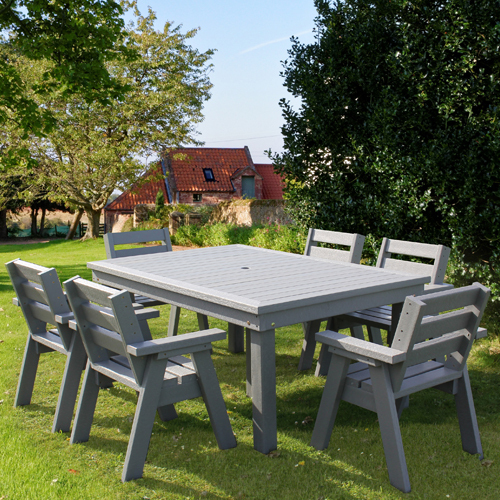 We have a fantastic range of recycled outdoor furniture, all of it made 100% from recycled plastic. 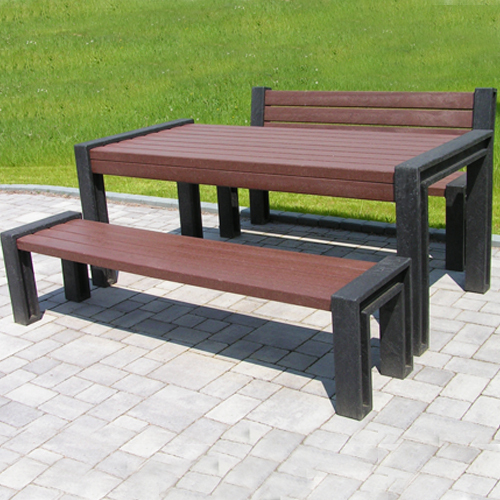 By buying recycled plastic furniture, instead of wooden alternative, you are saving money in the long run. 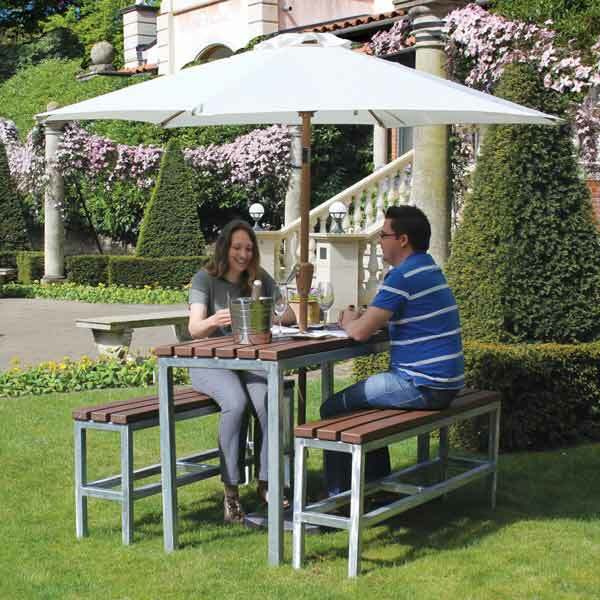 All of our recycled plastic furniture is maintenance free, very easy to clean, weather resistant and stands the test of time, meaning you won’t have to buy a replacement in a few years’ time!